Open government data – machine-readable information made available to all by governments – can empower citizens and improve government accountability, integrity and public services. It can boost public trust by enabling citizens to audit policy results. However, open data has yet to make a substantial impact on Mexico’s economy & society. There is more work to be done before the public sector can become an enabler of the digital economy and of better public governance. Mexico should actively support public officials, social entrepreneurs, businesses, journalists & civil society in using open data. Provide the skills training in how to create value from open government data. Build and engage user communities around open data is an essential first step since active collaboration between producers and consumers of data is key to encourage its reuse. 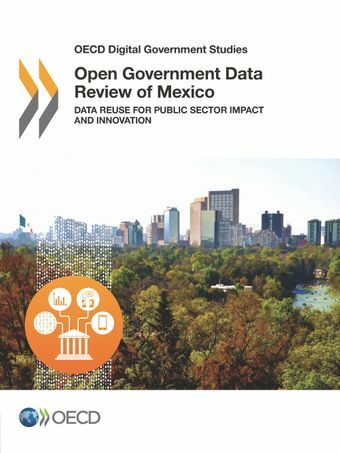 Mexico ranks 10th on the OECD’s OURData Index and Mexico's National Open Data Policy has spawned a series of ambitious federal initiatives including a fully functional central open government data portal datos.gob.mx.